For those who wish to read a summary of the suggestions, please scroll to the bottom and read the Overview section. For any MMORPG the gear system is imperative towards increasing the longevity of the game. It provides a form of progression that does not require additional zones, cap increments or story-line content. It allows players to remain invested and spend time upgrading and customizing their equipment to their heart's content. I have tried to acclimate to the gear system implemented in Starfall, but unfortunately I still do not feel that it meets the potential that it could. This is mainly due to the system's reliance on randomization and lack of scalability. Below are some suggestions that I feel would improve on the current design. I would be glad to hear other ideas as well. The process I followed is a layer based system. Similar to baking a cake, each layer for gear creation has a unique purpose, however, each additional layer that players pursue is more complicated than the previous. This overhaul relies on taking unnecessary and complicated features out of the game, and replacing or modifying them with something else. Thus, in order to understand the suggestions below, it is important to elaborate on which systems will be removed entirely, and which will be modified significantly. 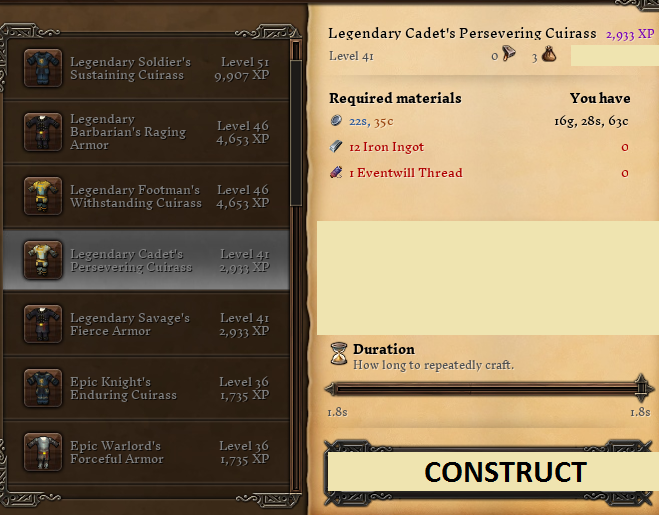 Starting heavy by removing one of the major components in the current crafting system. Gear Mastery depends upon the player crafting dozens upon dozens of a single recipe in order to gain specific runes they desire via randomization. They then need to filter through hoards of items and combine the items they desire for their gear. I believe this system needs to be removed and should be replaced with a system that has a greater focus on player customization while also preserving the difficulty and material requirements. As I have stated before, I would rather spend many hours constructing a single piece of gear that is perfect, rather than dozens of pieces of gear that are imperfect. The stats in the red box in the image above that come inherently with a piece of gear will be removed. With the proposed system below, there will be no need for another set gear stats. Elder gear is removed, and elder drops modified. Simply removed enhancement. We will be using the name though. It will not fit in with the proposal outlined below. However, it will be replaced with something else. Currently stats are restricted to specific pieces of gear. Any stat will be able to be placed on any type of gear in the proposed system. Currently gear comes in intervals of 5 levels. This will be modified to 15 levels between each set of gear, to increase how long gear is useful to the player before it is replaced. Don't worry, there is a system in place that will enable gear to remain useful for 15 levels or more, and it will be explained below. The concept of the stats themselves will remain, however their implementation will differ and they will be rebranded as Modifications or Mods. Below is a step by step walk-through of how I envision this system to work. First, the player steps up to a crafting station with the required materials in order to create a piece of equipment. Let's say an armor piece for this example. The player clicks on the appropriate piece of gear, and selects CONSTRUCT. Once this button has been selected, the player is taken to another window known as the Rune Selector. This is where the magic happens. On the top-left is the piece of gear that is being made. To the right of the gear image is a list of its rune slots. Directly below that is a list of all stat runes in the game (No epic stats!). (I could not fit everything in the image, just assume you can scroll through the list to view all the stats.) Players click on a specific stat, and on the right side there will be a list of materials required in order to add that rune onto the gear. The player hits accept and that stat rune is then added to the gear. Please note that the ingredients in the image are not correct - it was just to show the interface. Below is the ingredient type, based on the stat rune. For weapons, there will be a list of abilities for their class along with a cost. No more hunting for hours to find one specific ability that is a staple for your build. Once players have finished with their runes, they are taken to the Modification menu! This is where they are able to add a modification to their gear. Modifications are the replacements for epic stats, and will be explored in detail later on. Once players have finished modifying their gear and adding runes, they click next. This will take them to the final step - appearance. Players scroll through their unlocked appearances and select whichever they desire for that gear. Once complete, they review and click finish. The gear has been made. Once a piece of equipment has been made, players can right-click on it to open a set of options. This set includes the ability to re-stat the piece of gear or change its Mods. So players can continue to modify their gear at anytime they please. However, it will cost the same amount of materials as well as a gold fee to do so. Currently in the game the 3 main types of runes are: Augmentation runes, Reinforcement Runes and Feat Runes. In the proposed system we are scrapping Augmentation runes entirely. Now we are left with Reinforcement Runes and Feat Runes. Shields will have a passive rune, increasing block chance. With the new system my goal was to simplify the understanding of the stat process. How does a gear's stat runes affect each individual stat? We will continue to use the points system, but rather than using thousands of points that scale as you level, we will instead use a range of 0 to 3. Each piece of gear can only hold one of a particular stat. So no duplicates! It won't be possible to have 2 Haste stat runes on gloves for example. Each stat rune on a piece of gear will add a number of points within a certain range to that specific stat. There are 13 stats total - the same amount we have in the regular game (Vitality, Haste, Brutality etc.). Remember, we are not counting epic stats. When a player adds a stat rune onto a gear, it will add any number between 0.75 and 1 points to that stat. For example, a player may have a total of 3 Vitality runes all across their gear. The player now has a total of 2.45 points (AKA 2.45 of the bar filled) for their vitality. If they added another vitality rune onto their gear, say for another .9 points, then it will reach the maximum and the excess will not help them in any way, so it is essentially partially wasted. Players will need to do some balancing and ensure none of their stat runes are wasted in such a manner, and the best way to do that is by grinding stat runes for specific point amounts. So, let's do some math! 5 pieces of gear that can each hold a maximum of 6 stat runes. This means there are a total of 30 stat runes possible across all equipment. 13 stats total each with a maximum of 3 bars. This means there are a total of 39 bars that can be filled. Now comes the hard part - balancing. If each stat rune can add a minimum of 0.75 points, that means that the minimum amount of stats that a player can max out with each slot filled would be (0.75 points * 30 runes = 22.5 total points) and thus (22.5 points / 3 bars per stat = 7.5 stats maxed). So 7.5 out of 13 stats maxed out. If each stat rune can add a maximum of 1 point, that means that the maximum amount of stats that a player can max out with each slot filled would be (1 point * 30 runes = 30 total points) and thus (30 points / 3 bars per stat = 10 stats maxed). So 10 out of 13 stats maxed out. This means that players will have to re-roll and grind stat runes if they want to reach their maximum potential in terms of maxed stats. I know many folks dislike the luck factor - myself included - however, it is necessary to have some RNG elements within a crafting system in order to add some type of grind for those seeking to reach the limits. At least this way players can easily get the stats they require, it's just a matter of re-rolling stats until the player gets lucky enough for the +1. Personally, I feel this is a better alternative to crafting 30 pieces of equipment. Players just re-roll stats until they get the +1 point or however many points they desire. Is it grindy and luck based? Yes - but that is a necessary evil sometimes. On the bright side, players who don't care about being the absolute best can simply work with the stats they have and function perfectly fine. With all stat runes possible equipped, players will have at least 7.5 of their stats maxed - likely higher. In the current game, as you level up the amount of stat points needed will begin to increase, and it can be quite confusing to follow. In this system I have tried to simplify it. Basically, for each level above your equipped gear, the piece of gear will receive a stat rune point deduction. This will grow exponentially. If you are 1 level above your gear, the stat runes will receive a 0.02 point reduction. With maxed out slots at 1 point each this would take you from 10 out of 13 maxed stats to 9.8 out of 13 stats maxed out. This point reduction will double at each level. At 2 levels above your equipment they will receive a 0.04 point reduction. From 9.8 out of 13 maxed stats to 9.6 out of 13. As the level between the player and their equipment increases, the difference will become progressively greater, just as it works in live. Most notably, the gear itself will display what its point reduction is next to each stat so players are aware. Outgrowing your gear and having to make a new set is a chore. There are ways to counteract this leveling drawback though! Don't confuse this enhancement with our current version. Same name, different concept. Near the beginning of this post I mentioned how crafted gear would no longer be in intervals of 5 levels. Instead, they would be in intervals of 15 levels. This is to ensure that gear lasts longer than a few days. Many of you are probably thinking that the gear itself will become out-leveled very quickly, especially with the stat rune point reduction. However, that is what this system is for. In this new system there is a gear progression mechanic. Essentially, players can 'feed' their gear other gear in order to rank it up - known as enhancement. A piece of gear can be enhanced a maximum of 15 levels. Each enhance rank will level the gear up by another level, which will basically nullify the stat rune point deduction penalty that is part of out-leveling your gear. Players drag and drop other gear that is within the same level tier (1-15, 16-30, etc.) and this will boost the enhancement bar on the gear being fed. Once the bar is filled, it will gain +1 level. The amount of gear needed to rank it up corresponds to the level of the actual rank. The first level requires 1 piece of gear, whereas the 15th level requires 15. This makes it so players can use their gear for a total of 15 levels without it becoming outdated. It also makes looting gear far more important. You can feed it to your desired gear to enhance it! After the gear has gained its maximum of 15 enhancements, players will be unable to enhance it any further. Why 15 level intervals? It works perfectly with the crafting & gathering material interval. (Copper level 1, Tin level 15, Iron level 30 etc.) That means that there is 1 set of gear per material in the game. Gear cannot be enhanced past the level cap. Once a gear has been enhanced a maximum number of times, if players want to continue growing with their equipment, they will have to reforge it. An important aspect of this system I wanted to focus on was attachment. Meaning, the actual player's attachment to their gear. Gear should be something that players grow alongside of, and not simply replace at each interval. That is where the reforge mechanic is useful. Reforging allows players to convert their current gear, into the next tier. This means that players will not have to design an entirely new set of gear from scratch if they do not wish to - they can simply reforge their current set so long as it meets the requirements. 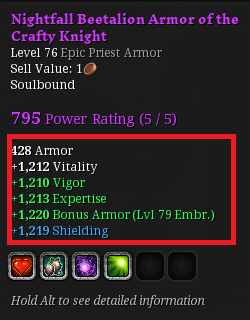 Now that crafted gear is set up in such a way, what about dropped gear? Dropped gear will work much the same as before. Higher tiered rarities will drop from more powerful foes such as Elders and Zingara. Dropped gear will have a number of Stat Runes on them based on their rarity which was outlined earlier. Players can acquire dropped gear with plenty of stat runes and mix-and-match them via gnogmentation. You may be wondering, that if they can accomplish this without crafting, then why would anyone craft? The reason this system is set up this way is so that everyone, whether they craft or not, is able to acquire fully functioning gear. The purpose of crafting is to fine-tune the gear in such a way that is not possible via any other method. This will be further explored below. Salvaging works much the same way in this system, except it will also take into account the materials needed for any runes which were on the piece of gear. Part of this proposal is not only to provide crafters with additional customization options, but also to encourage them to explore the world more. Crafters who gather in their village will be able to collect materials just as before, but, crafters who dare to gather in combat zones will have a chance to come across Glistening Nodes. Glistening nodes will appear randomly in the wild combat filled zones. A regular node may sporadically glisten for a limited period of time, and players can take advantage of this by gathering at this node. Players who gather at a glistening node have a chance to obtain glistening versions of whichever item that node originally dropped. This effect will only last a short duration though! So gather fast and obtain as many materials as you can. What can these glistening materials be used for? Glistening materials, when used to add stat runes onto a gear, will increase the potential point threshold. So instead of 0.75 to 1 point, the stat runes will have their maximum threshold raise to 1.1. This means that the amount of stats which can be maxed by someone with fully glistening stat runes is 11. This adds an entirely new element into the game, opening a market for these unique glistening materials. This is especially something worth pursuing for those who enjoy min-maxing, but it is definitely not something which can be accomplished easily. It is an extra layer for the players seeking to reach their maximum possible potential, but unnecessary for those simply seeking to wear high quality gear. Glistening materials can also be refined into glistening versions of their refined counterparts. (Glistening Ingots, Glistening Timber, Glistening Oil, Glistening Cloth). These refined materials are used for special high quality recipes. Formally known as Epic Stats. Each piece of gear can hold a single modification. Modifications, just like epic stats, will will focus on promoting specific play-styles. Gear modifications can be attached to gear similar to stat and ability runes and also swapped around via gnogmentation. When creating gear, players will have the option to select a modification to attach out of their available options. They can also access and change the mod at any time - for a cost. The equipment itself determines which type of modification it can hold. The cost of adding a Mod is gold, refined materials, a socket and monster parts! Rather than sockets being needed for stat runes, they are instead needed to add modifications. Monster parts were brought back because they add another aspect of depth to the crafting system, and connected loot to crafting. Unlike stat runes, Mods do not follow a point system. Once you apply a mod, you get exact numbers. Our current epic stats would be categorized based on the types above, and would be available in that pool of mods for players to choose from. Additionally, many more mods would be added to the game. Players can only have 1 option equipped per rune. However, they can change their decisions in the future - for a cost. As can be seen, gear and feat modification is all about player customization, and the costs are more complex and challenging than stat runes. This is because they are part of the 2nd layer of the gear system. Not as necessary, but rewarding for those who put in the effort. Part of a proper loot system is for bosses to have a chance to drop premium loot. In our current loot system, nothing besides epic gear is very exciting to find. Bosses need some interesting and exclusive loot drops to promote elder runs and group content such as dungeons. Ruthless: (Speed Mod) Gain a 10% run speed boost after each kill. 25% speed boost if the final strike was a critical hit. Looted weapons from powerful foes also have a chance to come with feat runes which have already been modified - saving players the time and cost from doing so themselves if they are able to find one. Additionally, bosses have a chance to drop Artifacts. There are 4 Artifacts for a complete set, and once all 4 are collected and combined, they are converted into an appearance pack. The type of artifacts that drop are dependent upon the boss itself. This will promote boss farming to collect premium appearances! Lastly, Tier 3 bosses (elders, dungeon bosses etc.) have a chance to drop Fragments - which is the replacement for Elder gear & drops. This will be explored further in a later section. Crafting specialization is an important part of a healthy economy and injects player choice and interaction into the crafting system. The current specializations are good, but also leave something to be desired. It's great armor masters have a 15% chance to craft an epic item, but it is fairly easy to get epic gear from dungeons and elders anyways. In the system proposed below, not only are those that specialize useful, but they can actually follow a progression path of their own! Each specialization has tiers, that players can slowly advance through. This will create a crafting hierarchy, and truly encourage players to continue honing their skills and pursuing their specific trade. Those who put in the most time and effort will reap the rewards and make a name for themselves in the crafters market. Production Master: Production Master's are excellent at quickly manufacturing gear with as little resource and currency cost as possible. If you are seeking to find a quick set of gear, then locate a production master! Lowers material and gold cost of crafted gear by 15%. Gear & Feat Modifications now also have their cost reduced. Modification Master: Modification Masters gain all new modifications which can be applied to gear. If you are looking for different types of mods, then modification masters are the people to look for. Barriers: (Defense Mod) All detrimental status effects applied to you (poison etc.) have reduced duration. Reserves: (Mana Mod) Mana regeneration increases the longer you remain in combat. Wrath: (Critical Mod) Critical hits have a chance to proc additional ability power damage. Tactician: (Critical Mod) Gain increased critical strike chance when striking an enemy from behind. Armor Master: Armor Masters gain special perks for any piece of armor they create. If you are seeking the best armor, look no further. Weapon Master: Weapon Masters gain special perks for any weapon they create. If you are seeking the best weapons, look no further. Potion Master: Potion Masters would still exist, but since they do not have to do with gear, I will not go into detail. Branding also has a high fail rate. This is done for balancing purposes, otherwise, branded gear would become too common as to diminish its exclusivity. There is only a 10% chance of a successful branding when using an Equipment Brand. If it fails, the Equipment Brand is destroyed, and the crafter must try again by making another. As achievements are completed, the Renown of the gear will improve. The Renown is displayed on the gear itself. Gear Sets are the next step towards customization and allow players to pursue a specific play-style of their choice. Gear does not need to belong to a set, but for those who choose to do so, they will gain additional perks on their gear. A specific set can be added to gear of epic quality or higher by using Fragments dropped rarely from Tier 3 bosses (elders, dungeon bosses etc.). Elders will no longer drop crests, ethers etc as Elder gear no longer exists. Instead, these Tier 3 bosses have a small chance to drop a Fragment. This Fragment will correspond to the species of the boss, similar to how Zogs work. This means that players will need to farm specific Tier 3 bosses in order to gain the Fragments they desire. Players can drag and drop these Fragments onto 6 possible pieces of gear (Hat, Armor, Gloves, Boots, Back, Weapon) and that piece of gear now belongs to the set that the Fragment represents. Fragments can be replaced, but the original will be destroyed when replaced with a new one. Fragments do not need to be upgraded. Example Fragments include Dragon, Golem, Spider etc. Each of them belonging to that monster's set. When a player equips multiple pieces of gear of the same set, they earn set bonuses. Set Bonuses will amplify the play-style that they represent. The more gear that has the same set, the greater the yield. Set Bonuses are all proc based. Meaning, that they have a chance to trigger when something occurs. Each subsequent set bonus will compound with the previous proc. Below are some example set bonuses. Bonus 1: Players have a 0.5% chance of inflicting burning damage to an enemy upon each hit. Bonus II: Players have a 0.75% chance of webbing an enemy upon stunning them. Webbed enemies have a 0.5% chance of being poisoned over 5 seconds. Bonus III: Players have a 1% chance of webbing an enemy upon stunning them. Webbed enemies have a 0.75% chance of being poisoned over 5 seconds. Poisoned enemies have a 0.5% chance of being slowed once the effect has expired. Essentially set bonuses provide boosts and additional perks to players that align with the play-style their gear represents. There are many different set bonuses, one for each monster species within the game. The purpose of these bonuses is for players to augment their play-style, promote RNG boss farming, injecting the economy with new rare items (Fragments), and provide further gear customization. What would be the point of putting together all of this great gear if we cannot trade it? I suggest that all gear be tradable! Whether or not we have worn it. The reason gear cannot be traded is due to a potential exploit where players create new characters, get free sockets, create gear and trade it to their main character. However, with the amount of work it would take to make solid equipment in this setup, I believe that restriction is no longer necessary. Gear should be freely tradable, whether or not it has been socketed, gnogmented, or worn. It will make a massive difference in the economy. Layer 1: This layer is all about creating and maintaining base gear. Players can either craft gear with specific abilities and stat runes via the crafting system, or find dropped loot and combine them together via gnogmentation to achieve the same result. Players can re-roll stats to gain higher point values on their runes, effectively increasing the amount of total stats they can max out. Players can enhance gear a maximum of 15 times, by feeding it other gear. This will level the gear up so that players do not outgrow it. Lastly, players can reforge their equipment - bringing it up to the next tier while retaining its perks. Layer 2: This layer is all about additional customization, for players seeking to put more time and effort into fine-tuning their equipment. Players can add modifications onto their gear and feats. These modifications promote specific play-styles that players can focus on. Players can also farm enemies for appearance packs and exclusive mods. Lastly, players can obtain glistening materials, which are rare items used for crafting stat runes and gear with special properties. Layer 3: Layer 3 focuses on specialization. Crafters can take the extra step to maximize their gear to its full potential and hone in on a certain path. Crafters who earn charter specializations can create unique mods, custom armor & weaponry and even create equipment brands. Branded gear gains properties when players use them to complete achievements. Lastly, players can imbue their gear with a specific gear set, by obtaining fragments from tier 3 bosses. That is my take on how I wish for the gear system would be designed. I would love to hear other's opinions and suggestions. This is a well thought out idea and definately addresses my main problem with current crafting...the complete randomness. However there are 2 things I have concerns with. The first is cosmetic....I like headwear. I want the option to have a hat or helm in addition to wings. The second is more problematic....Specialization. With your system it doesnt exist, making everyone their own crafter, and killing any possibility of having a player crafter character. Perhaps there could be some additional benefit that players that choose to Specialize can earn without making other crafted gear sub par? Of all the changes we could make to the game changing the crafting system is the most vital and imperative to our long term success. So many players hate the current system and are playing in spite of it, not because of it. As soon as they are max combat they are usually gone and the ones that stay only linger for friendships and the hope that someday things will get better. This improved crafting system would spark a much greater interest in the game and player retention would be dramatically improved. Gear crafting essential and deserves a well thought-out and balanced system. You have provided us with that here. 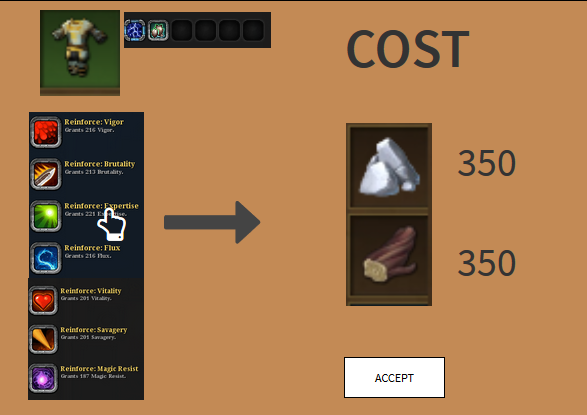 The current crafting system is plagued by quite a few things as others have already said, and this would really solve the problem while introducing more depth to it. My only question is (unless I misunderstood) is regarding the gear leveling up. Let's say I craft a level 1 armor set, rank it up till level 14, then get the next set. I rebirth at some point and now I have a level 1 armor set with the power of a level 14. Wouldn't it be imbalanced this way? I'd prolly enforce some scaling on it that the gear even if it's level 14, it scales to your level, reaching its peak at level 14. Im sorry, my translator failed. I really liked the topic and I made a like. But it seems to me that such a strong remastering is very difficult for an otter. 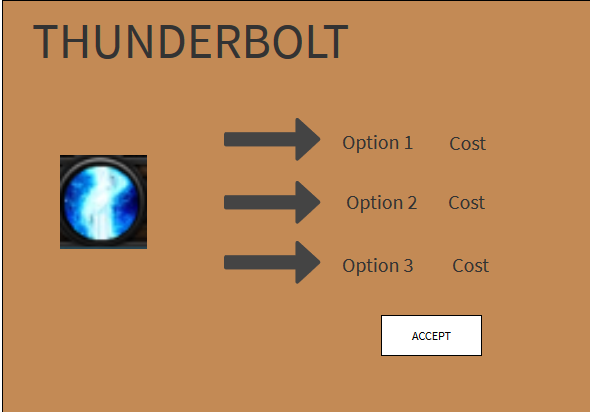 I propose to make more simple and basic elements of the interface . ...it seems to me that such a strong remastering is very difficult for an otter. I propose to make more simple and basic elements of the interface . When it comes to gear, "simple and basic" changes would be akin to slapping a bandaid onto a sucking chest wound after the patient has already died. When SKAAVVEEK suggests outright scrapping major aspects of the current system, I do not feel he is being the least bit extreme. Starfall was one of the best and most certainly the worst things to ever happen to this game. While it revitalized combat and added a layer of complexity and diversity that many serious gamers wanted, the diversity is forced by randomization and complexty ceases to be a good thing when it enters the realm of needlessly over-complicated. I very much like this company, this community, and this game, but if there is one aspect of it I truely despise, this is it. I'm going to borrow from the comments made by Kitty, because I could not have said it any better. "So many players hate the current system and are playing in spite of it, not because of it." This is me, in a nutshell. There is no art nor skill required to produce top gear. It's simply a matter of grinding out enough pieces of it to meet the required minimums. Even then, I could perhaps live with it were it not for the total randomness. Only in V&H does a crafter have no idea what they are about to produce until such time as they have produced it. There would be outrage from players that have invested a lot of work into the new gear system should it be scrapped, just as there was outrage when it was introduced. That's a sad thing, but for the future good of the game, it needs to be done. There is no fixing it. It needs to be rethought from the ground up. Since I created this thread months ago, I was never truly satisfied with where I left it. I always intended to go back and modify the thread, but never got around to it until recently. The original post of the thread has now been entirely modified - almost tripling in size with additional details and refinement. I will also take a moment to address some of the initial feedback I received when the thread was first created. However there are 2 things I have concerns with. The first is cosmetic....I like headwear. I want the option to have a hat or helm in addition to wings. That was an oversight on my part, and has been address. Hats are back! I have added a whole new specialization section, thank you for the feedback! My only question is (unless I misunderstood) is regarding the gear leveling up. Let's say I craft a level 1 armor set, rank it up till level 14, then get the next set. I rebirth at some point and now I have a level 1 armor set with the power of a level 14. Wouldn't it be imbalanced this way? I'd prolly enforce some scaling on it that the gear even if it's level 14, it scales to your level, reaching its peak at level 14. You are right! I have modified the gear progression system to be more balanced, thanks for the feedback! You sure added quite a bit to it, I went through it. This would deserve a single expansion in itself. Overall superb work, it's pretty well thought out and explained, so I'll just address the parts that I see some flaws in. 1) Shields: Currently two classes have access to them, yet you used it in the calculations for stat runes. This means Hunters, Wizards and Two-handed Warriors have less ways to maximize their stat points. I think a possible solution to this would be to keep Shield's stat slots to 2 as it is now or add something else in the Shield slot for other classes as well. 2) Crafting Specializations: How do Glistening materials interact with crafting specializations? You mentioned that specs craft at an increased stat rate, how does that fit into the 1.0-1.1 range of glistening mats? Would it increase both min and max range of it, or has no effect on it at all? 3) Branding: I might missed this but can you brand a gear multiple times? Or are you restricted to one branding per gear? 4) Reforging: As I understand the cost is the same as crafting anew. So basically this is pretty much only good if you don't plan rebirthing at all, because if you reforged your gear every 15 levels you would end up with a single set in the end. While it saves inventory space and some time, I feel like crafting from a scratch is much more beneficial. Which leads me to my next point. Thanks for taking the time to read and provide feedback! Regarding shields, that was a mistake and has now been fixed. Shields should not have been given stat runes, instead they will simply have a passive rune that increases block chance. How do Glistening materials interact with crafting specializations? You mentioned that specs craft at an increased stat rate, how does that fit into the 1.0-1.1 range of glistening mats? Would it increase both min and max range of it, or has no effect on it at all? Ah I had not considered that, thanks for pointing it out! I have altered the glistening materials such that they increase the maximum threshold only - and the armor specialists increase the minimum. 3) Branding:I might missed this but can you brand a gear multiple times? Or are you restricted to one branding per gear? A gear can only be branded once - but branding will enable the gear to gain all perks possible from the achievements. The main point of reforging would be to keep special gear intact. For example, if you have a level 60 piece of equipment, that was created by an armor master and has been branded / has perks - then you may wish to reforge it into the next tier (75) rather than creating the level 75 tier from scratch. Either way would be possible though. 5) Enchantment:Enchantment in itself is good, the motivation behind it is my issue. The gear you have grows weaker the higher level you are. Now the monsters you fight get stronger as you level up, so naturally that in itself should make your gear less useful for your level. Imposing a further punishment in the form of reducing your stat effectiveness on your gear seems wrong. Ah, that penalty is actually how it works on live as well, this was my attempt at mimicking its functionality. For example, on live as you level up, your attack and defense rating will automatically reduce, even if you do not change your gear. This is because the amount of stat points needed to reach the stat numbers you had at the previous level has increased. Rather than increasing the amount of stat points needed, I preferred to keep mine at the same range, and instead added a point deduction penalty as an alternative. It will produce the same result, just in a different way. If there was no stat penalty as you leveled, you would actually be just as strong wearing level 30 gear against level 30 foes, as you would be were wearing 30 gear against level 75 foes.